Underlying migraine causes are not fully understood by the medical profession. That's the bad news. 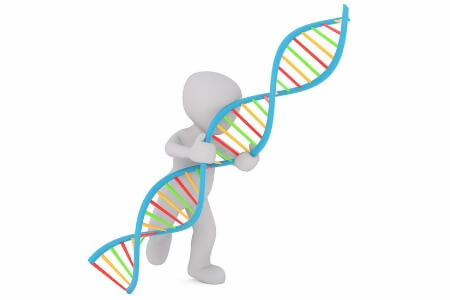 The good news is, it is generally believed that the causes may be related to a combination of genetic and environmental factors, and this implies that you are able (should be able) to control them to some degree. What causes a migraine... exactly? Approximately two-thirds of the people diagnosed are found to have a family history of the condition, and they were rarely contributed to a single gene defect, until recently. 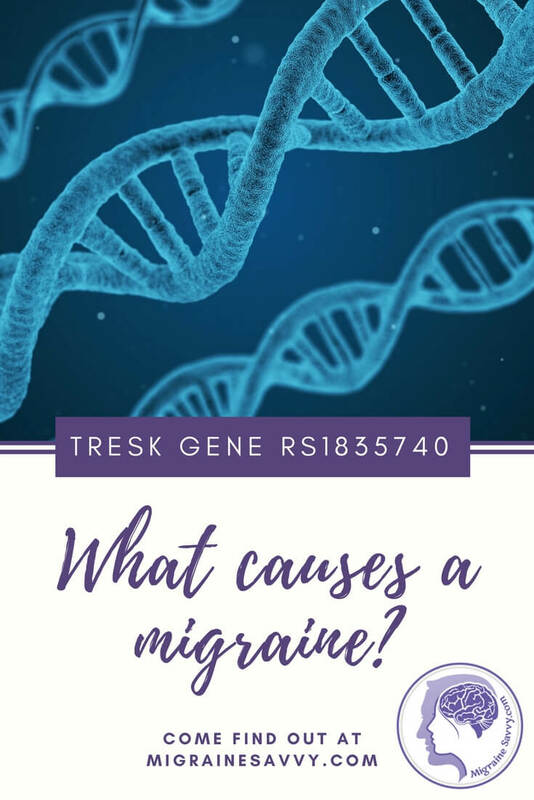 Back in September 2010, Professor Lyn Griffith, director of Genomic Research Center and the Griffith Institute for Health here in Australia, at Queensland’s Griffith University, discovered the “TRESK” gene that directly causes a common type of migraine. It took more than 15 years of research and she used over 3,000 individuals, which is a huge sample. YAY! That means it's reliable. More specifically it's called “rs1835740” aka the “TRESK” gene. It is now linked to what causes migraines. I tested negative... so that's not my piece of the puzzle. Migraines are associated with several psychological conditions such as anxiety, depression and bipolar disorder, as well as many biological triggers or events. I was continuously told that I was depressed so I got migraines. That used to irritate the hell out of me! I'd say "I only get depressed because I get 20 migraines each month and dealing with a chronic illness is no piece of cake." Studies of identical twins suggest there is about a 50 percent likelihood that a genetic influence contributed to the development of migraine headaches. This genetic relationship appeared to be stronger in cases of migraines with aura, than in cases of migraines without aura. Click here to read more about migraine aura. The studies revealed several specific gene variants slightly increased the risk. Rarely will single gene disorders result in the development of migraines (as in my case). One such possibility is known as familial hemiplegic. This type is with aura; you only need to inherit the abnormal gene from one parent. 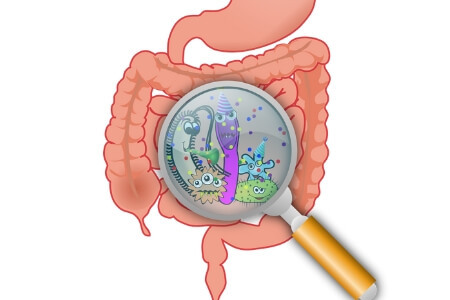 The disorder is related to gene coding variations in proteins involved in transporting ions. 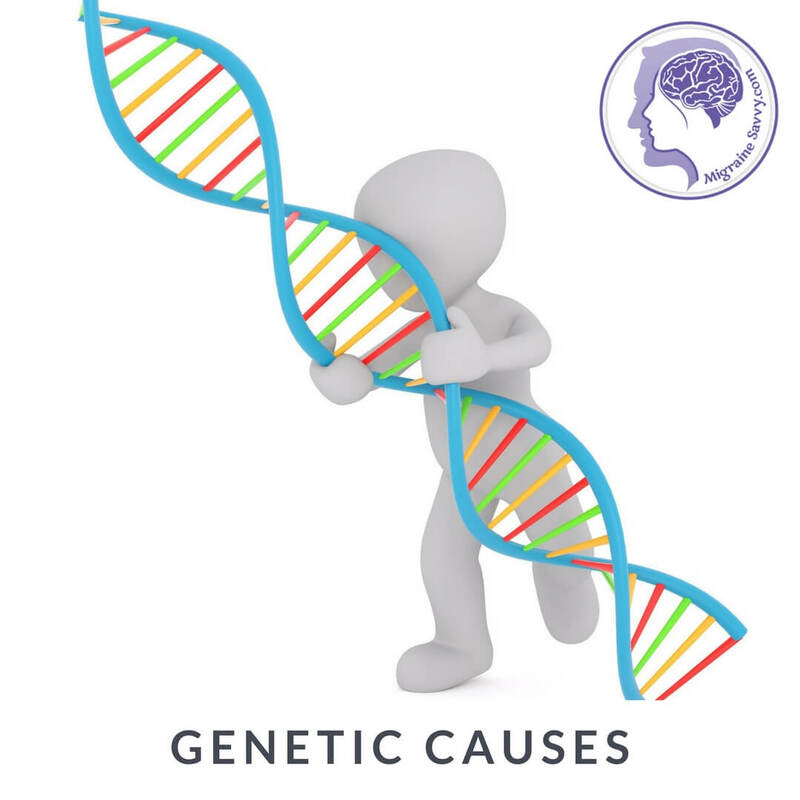 Another genetic disorder believed to cause migraines is cerebral autosomal dominant arteriopathy with subcortical infarcts and leukoencephalopathy (CADASIL), which also contributes to subcortical cerebral infarcts, mood disorders and progressive dementia. Man, say that three times fast. Migraine causes are so difficult to define, because the disorder is so complex. It involves the brain, and the blood vessels surrounding the brain and running throughout the head. Unlike other brain disorders, migraines can not be detected with a brain scan, therefore a diagnosis can only be made based on symptoms. Under certain conditions the brain can become hyperactive. This hyperactivity sets off a series of chemical reactions that irritate the nerves, causing them to send out pain signals throughout the head. This in turn causes the blood vessels to expand, which makes them release even more chemicals, further irritating the nerves. 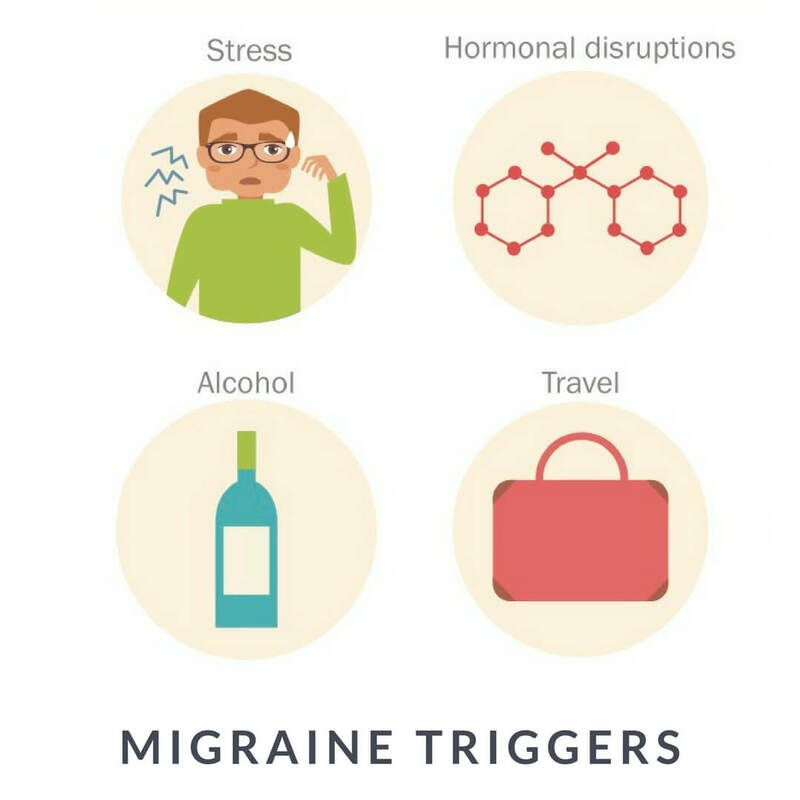 Click here to read more about common migraine triggers. 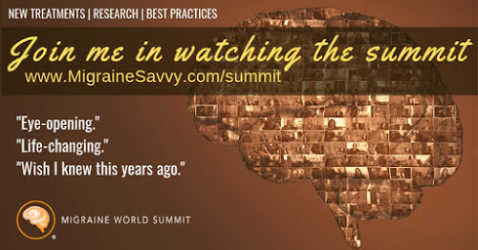 Other migraine triggers are believed to be related to serotonin levels. The migraine causes of pain occurs due to waves of over excitable brain cells that then trigger chemicals like serotonin causing a narrowing of blood vessels throughout the body. Serotonin is the chemical in the brain that regulates pain in the nervous system. Studies show that the level of serotonin drops during a migraine attack. This drop could cause the trigeminal nerve system, which is a major pathway for pain, to release a substance called neuropeptide. The neuropeptides travel to the outer covering of the brain, resulting in a severe headache. Serotonin levels also affect blood sugar levels which is why food, or lack of food, is believed to often be the cause of a migraine attack. Migraine causes are biological internal reactions started by a trigger. A trigger is an internal or external event causing the reaction in the body. Triggers come first. Triggers come first and cause a chain reaction of more triggers. It's complicated, but I hope this helps explain why migraine causes are different to triggers. Now you know what to do - act as soon as you are triggered. Don't wait. 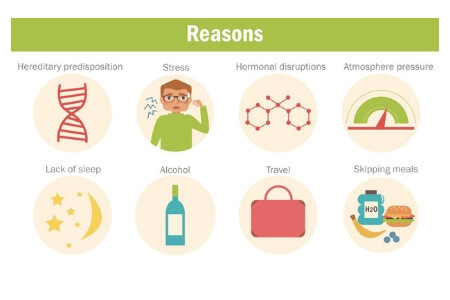 What Works Best To Stop Hormonal Migraines? Causes of Migraine Headache: Can They Be From Parasites? 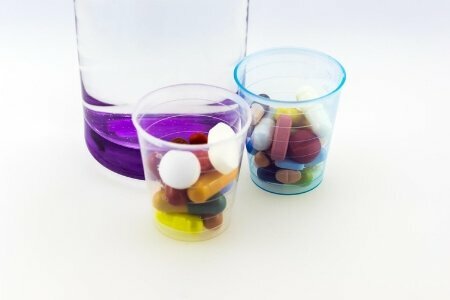 Can A Vitamin Deficiency Be The Cause of Migraine Headache? Migraine Allergy or Allergy Then Migraine? Which One Comes First? Are Digestion Problems Causing Your Migraines?